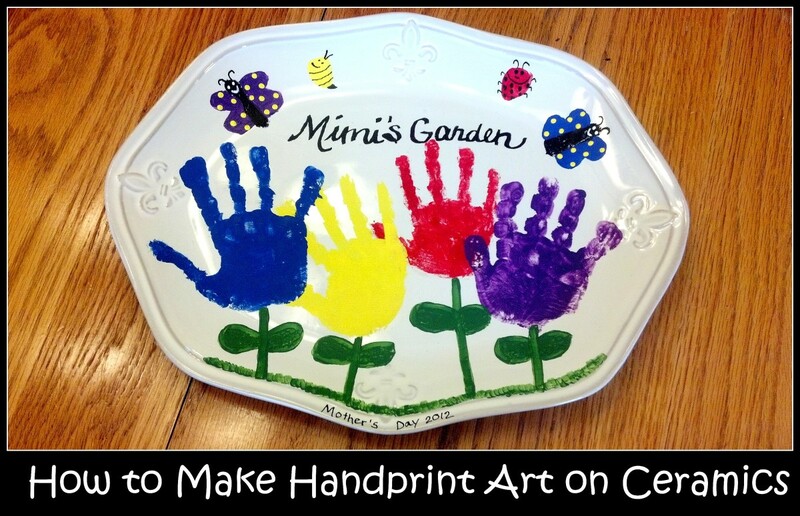 Looking for a quick and fun craft idea? 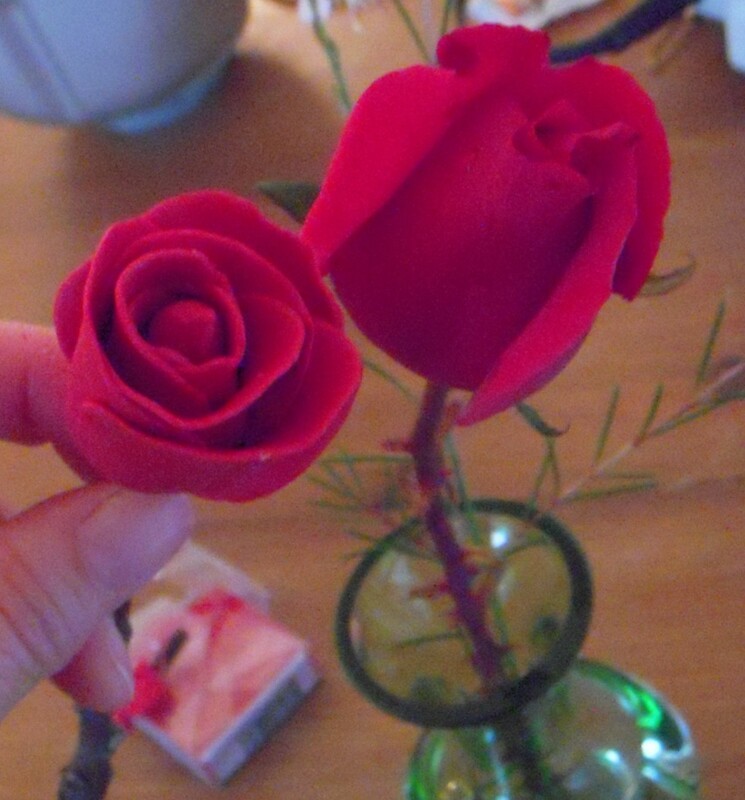 Using modeling clay and a stick, you can make a rose! 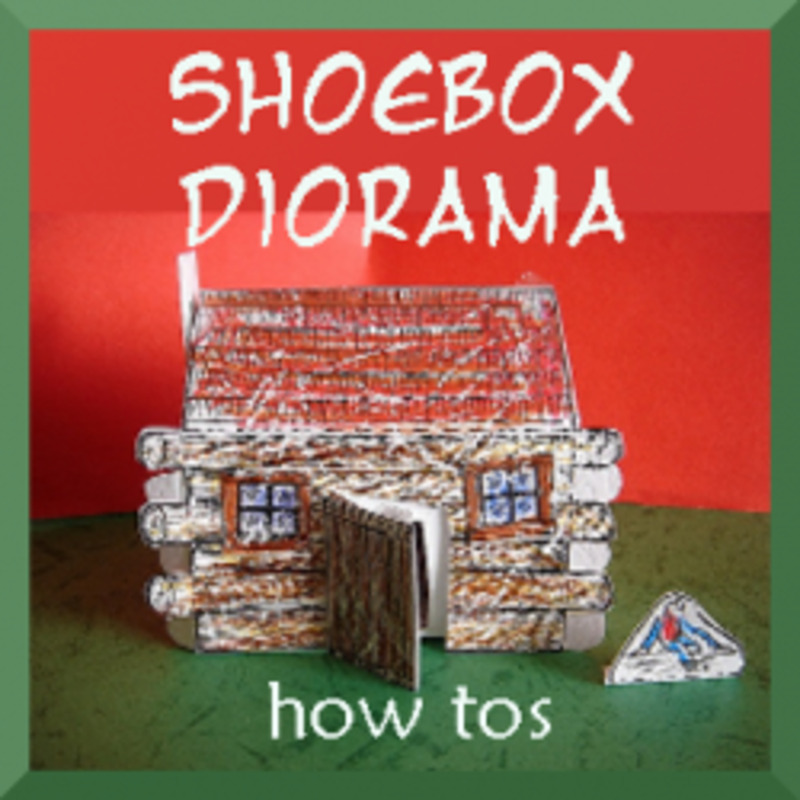 This is a great project for kids, Girl Scouts, and crafters and takes only about an hour to make, minus drying or baking time. 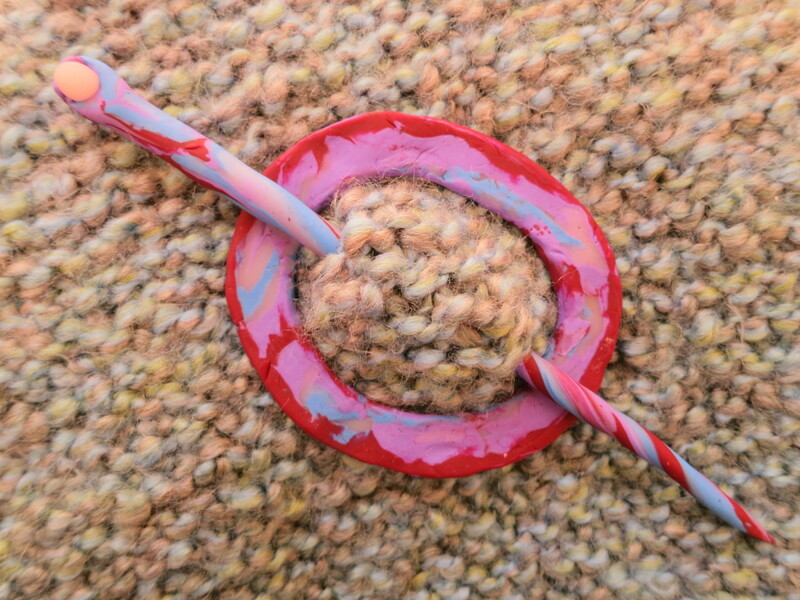 I used Sculpey brand clay, which requires baking, but this method will work for no-bake modeling clay as well. 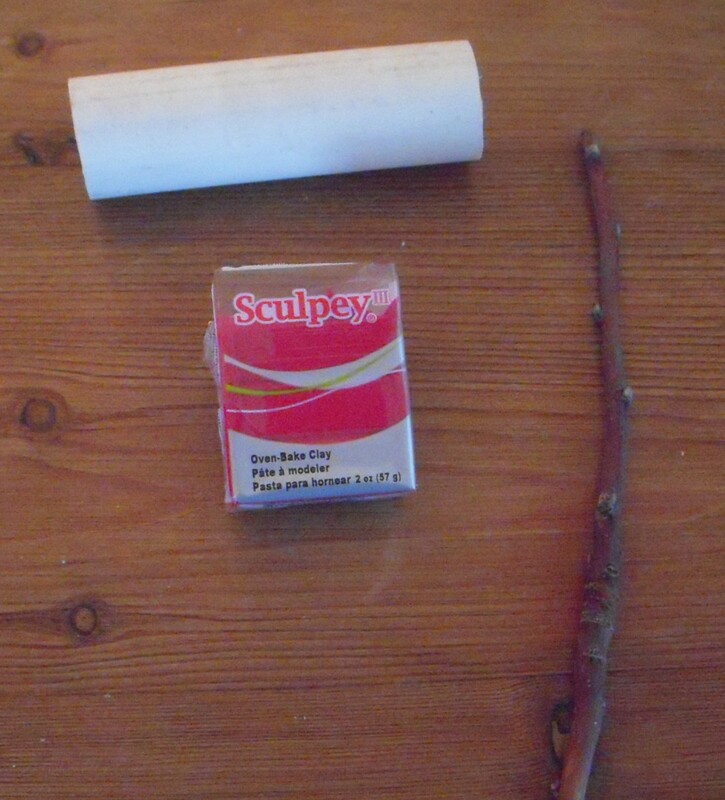 Start with a new package of Sculpey and break off a 1/2 oz stick (about 1/4 of the package.) 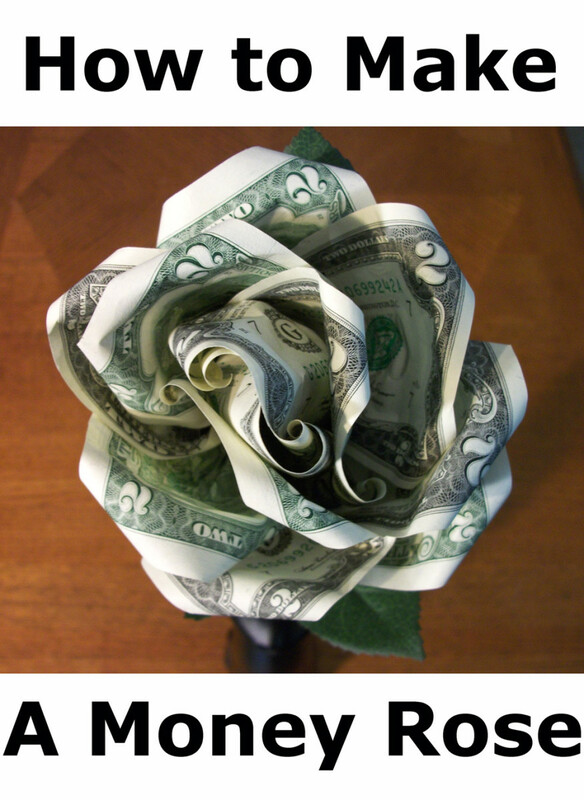 This is what you will use to make one rose bud. 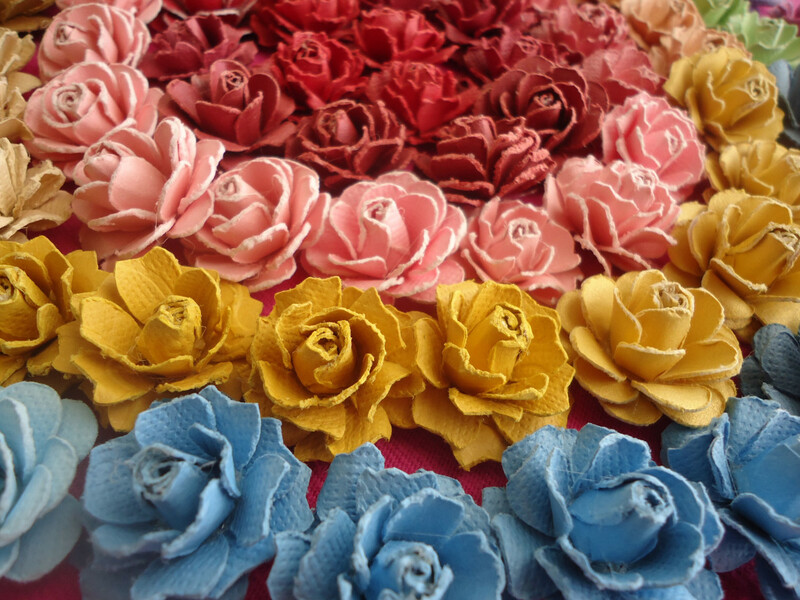 Using this method, one package of Sculpey will make four clay roses. 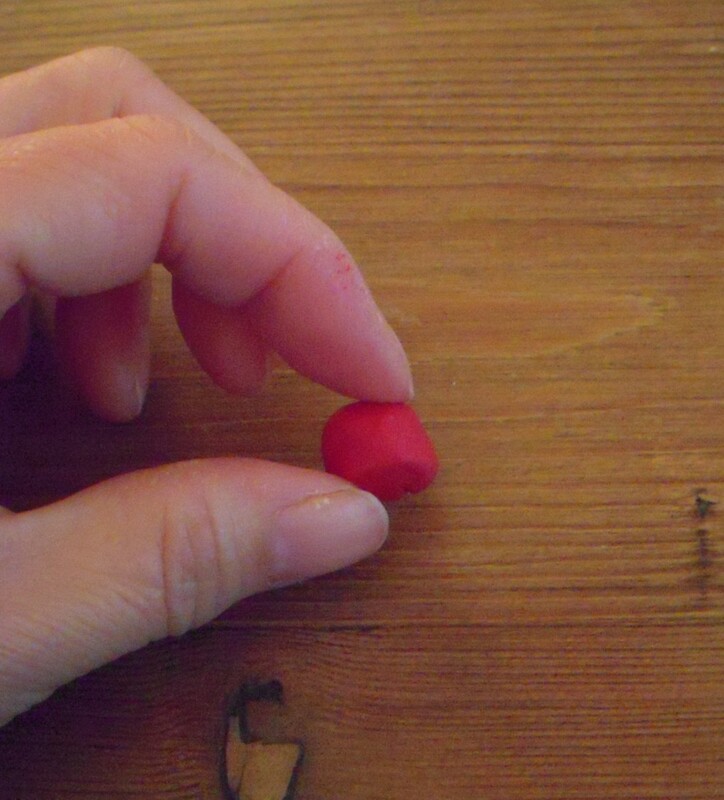 Take 1/2 oz Sculpey clay and break off seven "big pea" size pieces, and one slightly larger "jumbo pea" size piece. The "jumbo pea" will be used to make the center of the rose bud, while the 7 "big pea" pieces will be used to make the petals. Starting with one of the petal pieces, use the craft roller to roll out a loose rectangle, about 2" wide,1.5" tall, and about 1/8" thick. 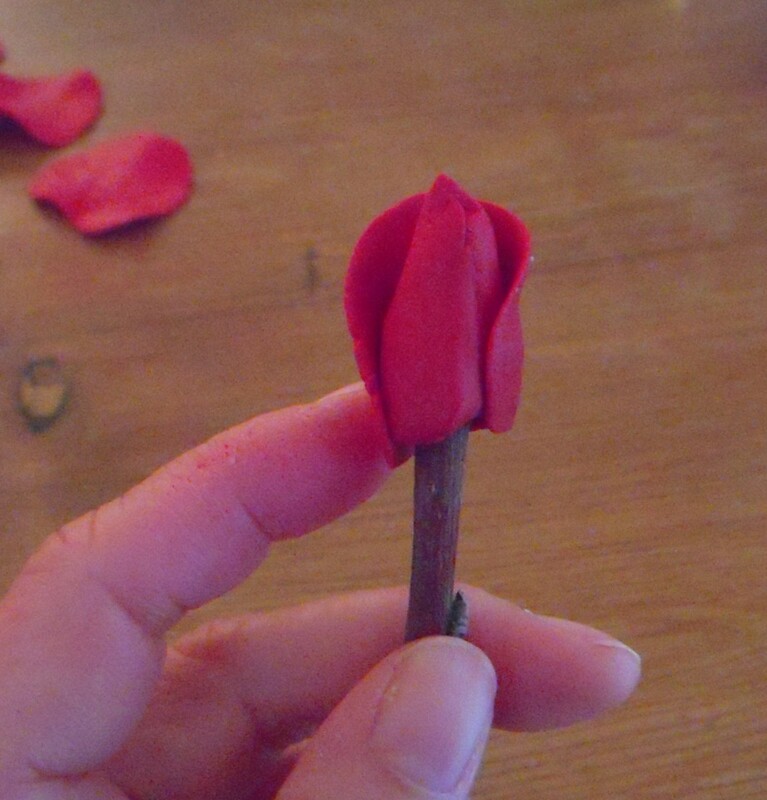 The clay petals will be smaller than the petals on a real rose. Once you've rolled out the petal, use thumb and forefinger to press and slightly stretch the top edge and sides of the petal to give it a more relaxed shape. 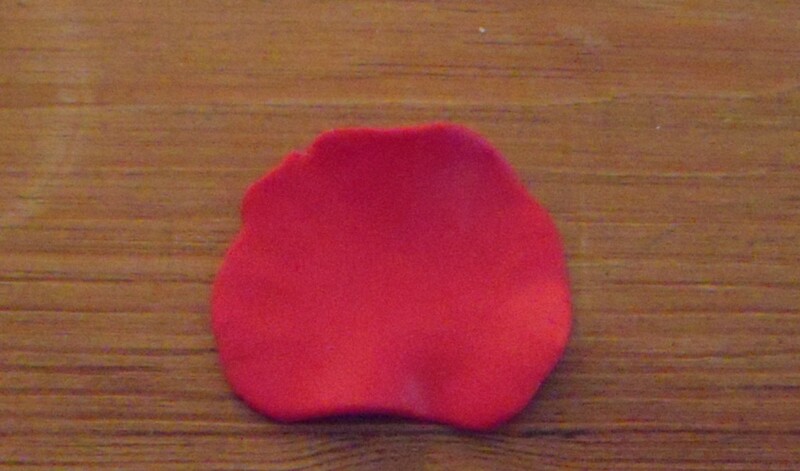 The resulting clay petal will not lay flat; it will curl somewhat, kind of like a potato chip. 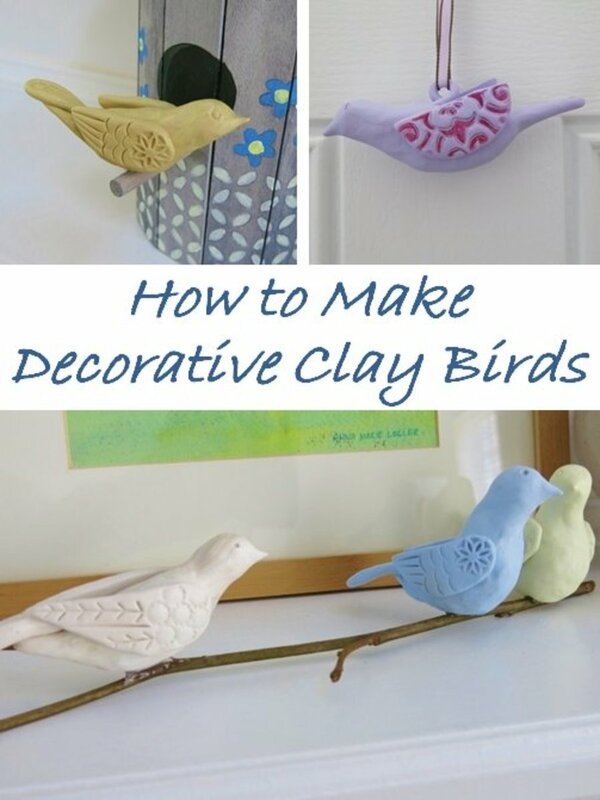 Repeat the process to make a total of seven clay petals. 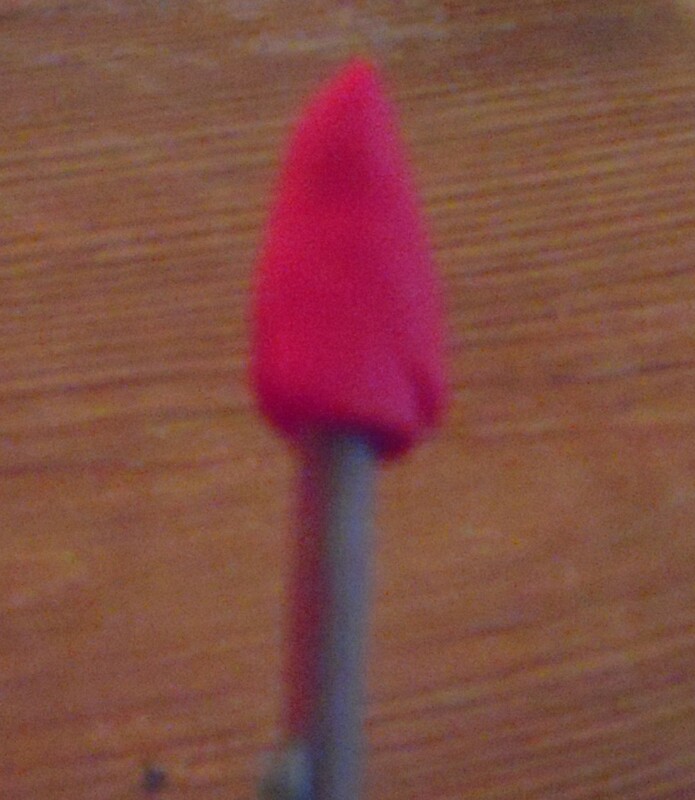 Take the "jumbo pea" piece of clay and shape it into a cone approximately 1" tall. 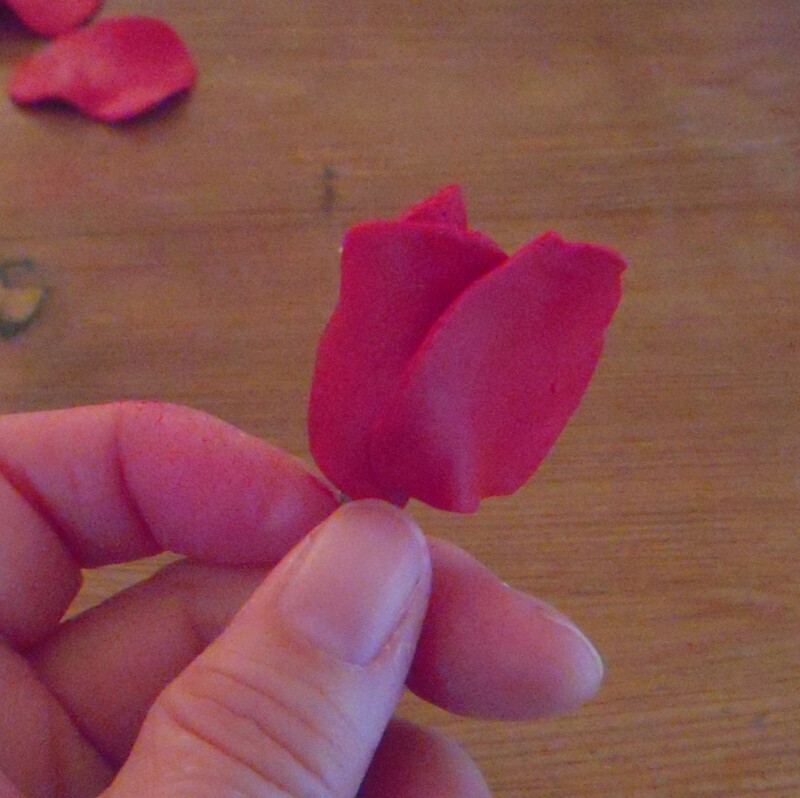 This will be the center of the rose and the "rose hip" around which you'll wrap the petals. 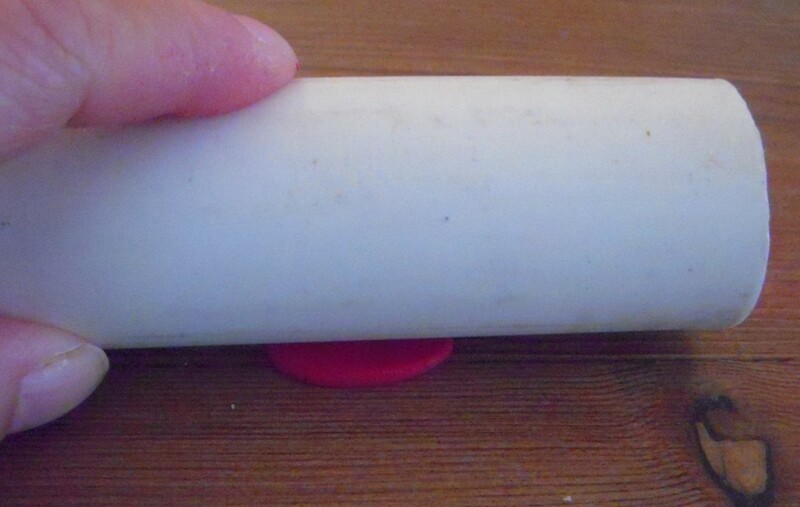 Push the clay cone onto the apple stick (or other stick you are using.) Shape it so that it resembles the basic shape of a rose bud. You'll want the tip of the cone to come to a soft point. 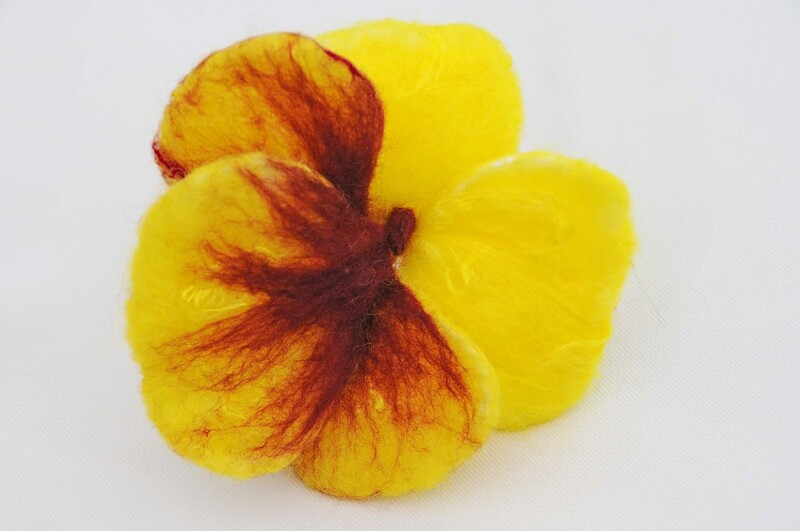 Take one of the petals and wrap it gently around the clay rose hip. You can pull the petal somewhat so that it is not slack, but make sure that petal is open at the top and securely attached to the base. Think of how petals are attached to create a bud in nature. 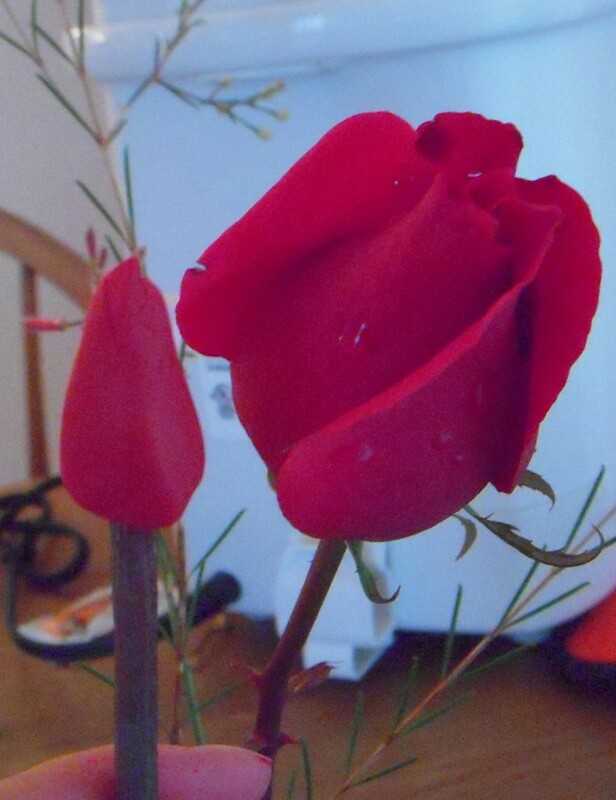 You want to achieve the look of a rose bud just beginning to open. 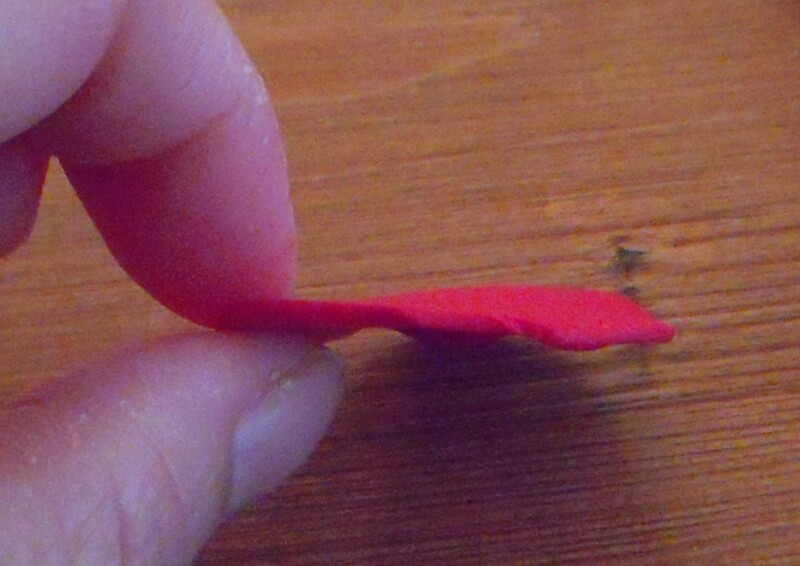 Take the second petal and overlap it about 1/3 over the first petal that you've already attached to the hip. Wrap the second petal around the hip, again making sure it is attached to the hip at the bottom, with the top slightly open. 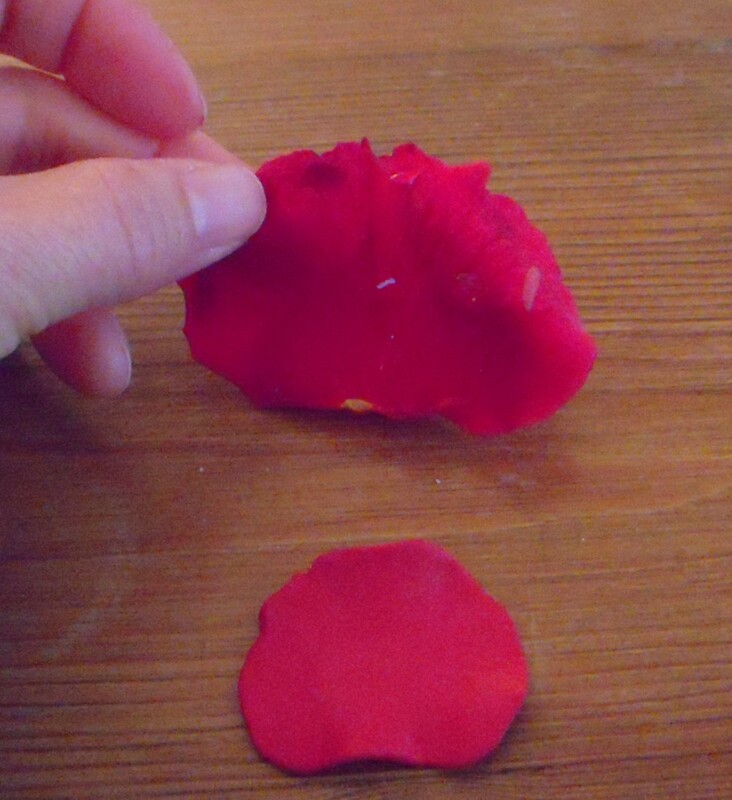 Continue wrapping petals around the hip, stopping occasionally to see what your rose looks like. On the last petal, open up one edge slightly to resemble the rosebud in bloom. Using extreme care, remove the rose from the wood stick. Bake at 275 degrees Fahrenheit for about 25 minutes, checking at 15 minutes. Allow to cool completely and then reattach to the wood stick. (You may need to glue it to the stick.) 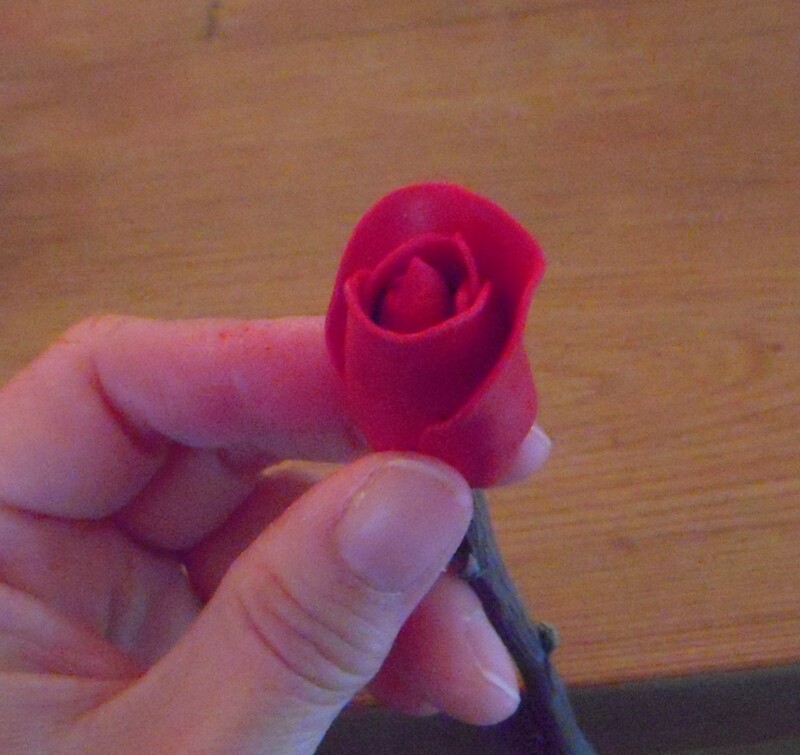 Enjoy your Sculpey rose! 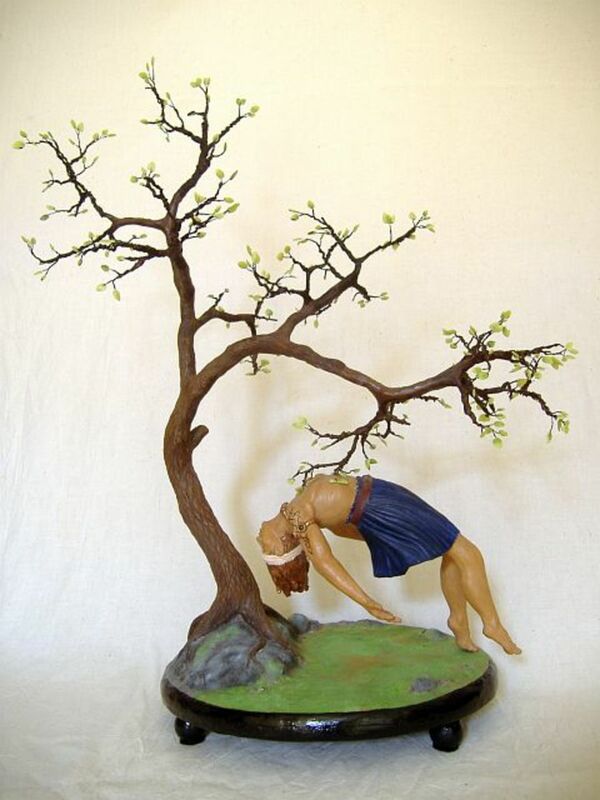 Is modeling clay suitable to leave out in the weather (rain and sun, etc.)? I have used Sculpey polymer clay for outdoor decorations. Properly baked (cured) items made from Sculpey that are not too thin hold up well, and keep their color in the sun and rain. I can’t say what snow or freezing temperatures will do, though, since I don’t get snow in my part of the world. I suppose, if, in doubt, you could bring the pieces indoors during bad weather. Thank you for your question! Thanks Aplethora23! I love working with Sculpey, very easy and fun too! 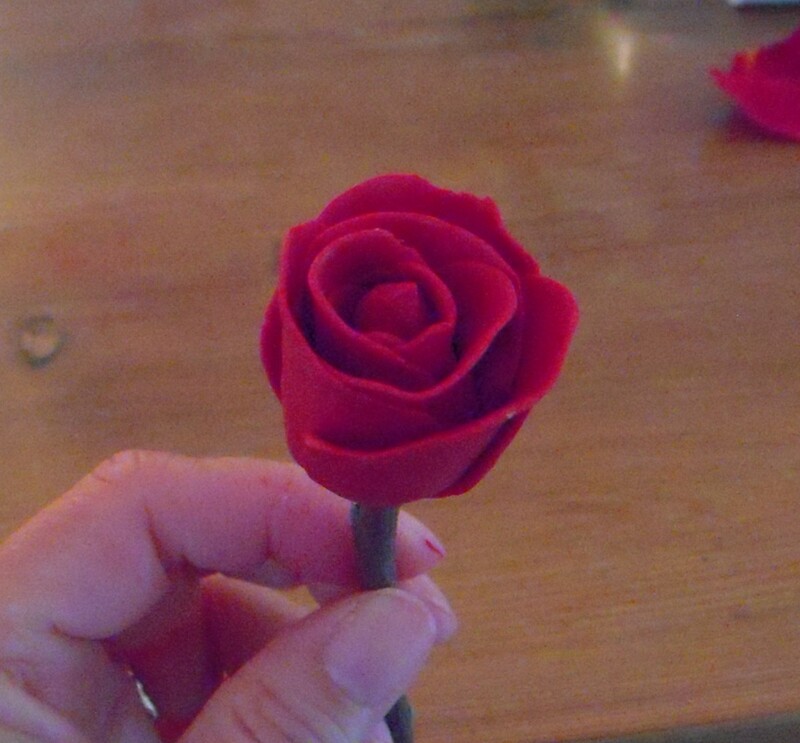 I make pottery in school and I must say that I love this little red Sculpey Rose! Gave you a thumbs up for this, very nicely done. Thank you for sharing.